Up to now, the ’20 GMC Sierra HD has only been seen in Crew Cab guise. But now, here’s the new Sierra HD in the Double Cab format—the first time this particular body style has been seen on GM’s new heavy-duty trucks. 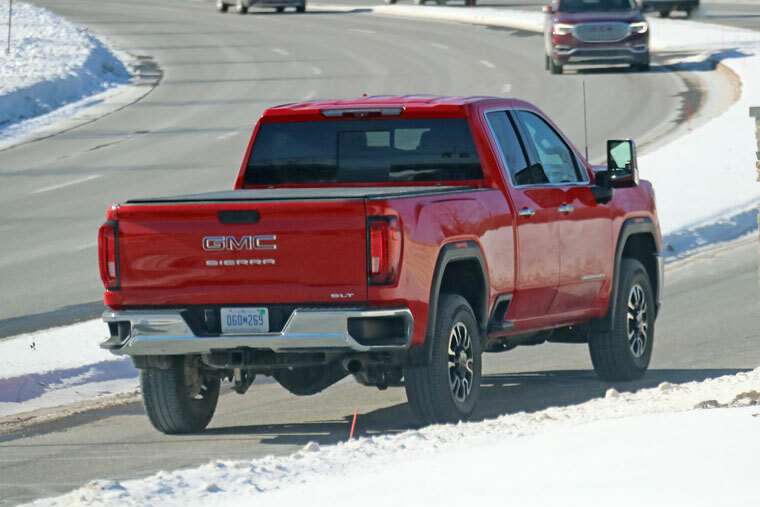 Notice that the rear door is significantly shorter than that of the Sierra Crew Cab models a few weeks ago during the reveal event in San Diego. Despite the shorter rear door and associated reduced room in the rear seat, it still looks like there is ample space in the Double Cab, though not as much as in the Crew.